Live your prettiest nails ever! 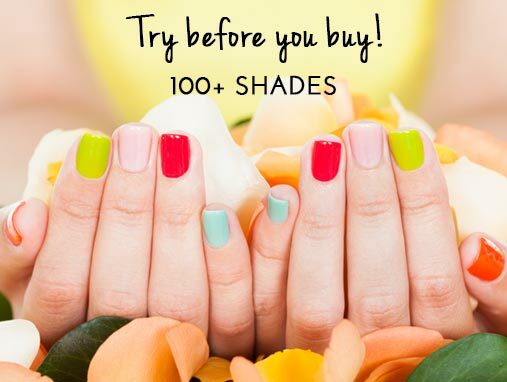 Now thanks to Nykaa’s snazzy Virtual Makeover tool, ‘try on’ more than 100 nail colors from LYN’s high definition, brilliantly curated palette of sheers, shimmers, crèmes and glitters. Have fun with the Try It On Studio that allows you to adjust a virtual hand’s skin color and nail length to match your own and choose the colors that look the best. Let’s get started!